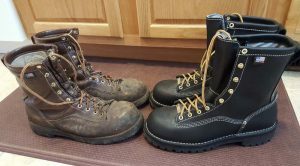 A question as old as time when it comes to selecting boots is whether you should choose something that is easier to slip on or something that holds up a little better with laces. While both of these choices can be rather simple and easy, we have done some additional research to find out when you should wear which one and if it is feasible to have a pair of both in your wardrobe. 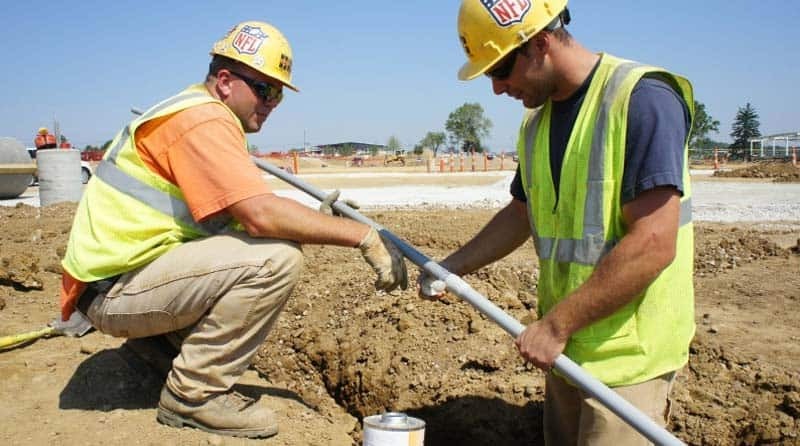 When it comes to working, the choice might seem obvious and after doing a little test, I found construction workers and those working outdoors to prefer the laces for their boots. One of the benefits of having laces is more stability and the fact that your ankles and joints will be a little more protected from any damages that might occur. The users working indoors had a very different opinion related to the question and many of them do like the laces, but some have decided the having a slip-on shoe or boot is much more comfortable. If you spend long hours on your feet indoors and you need to take a quick break, the shoes are much easier to slip off and give your feet some air that might be desired. 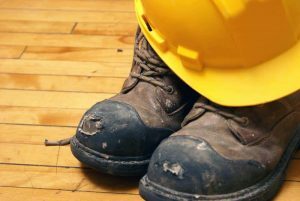 The conclusion for these shoes when it comes to work is right down the middle and depending on your work and the environment that you will be working in; you will be choosing your boot. 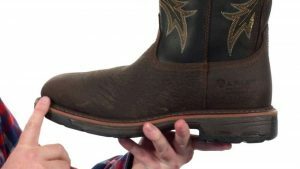 It does not make any sense for a logger or a farmer to have a slip on work boot that is short. It is also worth noting that the Muck boots are a little lager and tall and they are mostly designed for rain, but might not offer all of the joint and ankle protection as some of the others. When it comes to comfortable boots that can be worn at any time of the day, the game changes and you will no longer need to spend hours upon hours on your feet. The slip-on shoe seems to reign supreme in these cases and the shoes are really easy to slip on, which should save you time when getting dressed and ready for the day. On the other hand, dressing up can also be seen as leisure and many people choose to dress up on certain special occasions. The slip-on shoe might not look as professional as those with laces. When you think of the ideal Oxford shoe that you will be wearing to your job interview, it is no use choosing a slip-on shoe in the corporate world. We recommend using a shoe with laces when you need to look a little more professional as these boots have commonly been associated with looking and being more professional. After having a conversation with a couple of top people who conduct some interviews, they said that having a slip on shoe might give the wrong image and it might make someone seem a little lazier, whereas your lace-up shoes will be much more convincing. Hiking certainly is a no-brainer and the choice should really be easy when choosing the shoes you will use for hiking. Generally, outdoor shoes are much longer and they have laces that enable you to control how tight you would want the shoe to fit. If you are hiking in dangerous areas, it might be a little dangerous to have a shoe that is loose. Once again, we could say that the Muck brand is one of the top brands for outdoor users and they only have the slip on features in all of their boots. However, the boots are made from rubber and having something from premium grade leather is a little different. 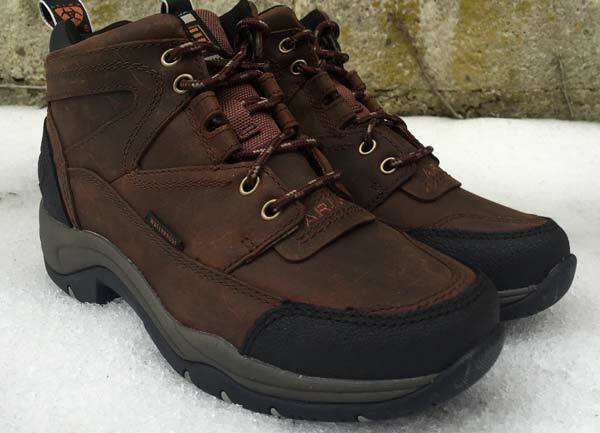 If you are looking for something that is multifunctional, the KEEN brand is great for work boots and for creating hiking boots. The shoes are more functional and they can be used for either leisure or for looking professional in the workplace. 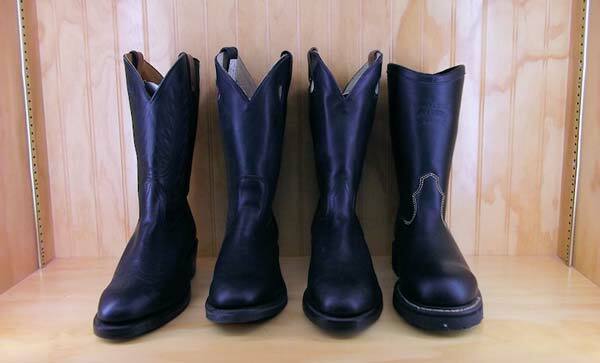 Depending on your needs, you could easily find the right lace-up boot for more than one purpose. The boots and shoes will offer some more joint support and having joint support, can eliminate some of the fatigue we need to deal with every day. This could lead to more productivity. Lace-up boots also look much better and a little more professional. Having something that looks professional is definitely important and it tends to work in your favor when it comes to your job. These boots do seem to be a little more durable as well and durability can never be a bad thing. The sizing seems to be somewhat more accurate and they are true, which makes it perfect for those with specific shoe sizes. The slip-on boots or shoes are a little larger in terms of the overall design. This is ideal for those with larger feet and if you find yourself struggling to find the right shoes. However, the might seem a little looser. Ventilation is a little better in these shoes and having ventilation will enable your feet to be cooler, which is perfect for wicking away some of the moisture that is caught in the shoes from long hours. These shoes are really easy to take on and to put on. Having this benefit helps when it comes to getting ready for something in a flash. They are the ideal leisure shoes, giving you comfort and simplicity with style all in one. It does not really matter if we say one is better than the other is, you should already have a specific design and type of shoe in your mind. However, when it comes to usefulness, the lace-up shoe is somewhat better and it does look much more professional as well. In the end, a shoe with more usefulness will always be a winner. We would like to thank you for reading this article and we would like you to weight in a couple of your thoughts on which shoes you would choose and for which purposes. We look forward to reading a couple of your comments in the comment section to see which ones you find as the best option and why you think so.